The RBI assessed compliance by Banks with extant prudential norms on income recognition, asset classification and provisioning (IRACP) as part of its supervisory processes. 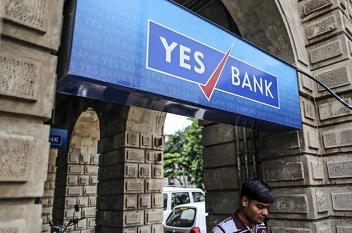 Yes Bank climbed 25% on the BSE in Thursday's morning trade as the Reserve Bank of India (RBI) has not found any divergence in the asset classification and provisioning done by the lender during 2017-18. Around 0.9% equity worth Rs464cr trade in multiple blocks on NSE at an average of Rs 210 per share. The RBI assessed compliance by Banks with extant prudential norms on income recognition, asset classification and provisioning (IRACP) as part of its supervisory processes. As part of this process, Yes Bank has received the Risk Assessment Report for FY2018, the bank said in a press note after market hours to the exchanges on Wednesday. "The report observes NIL divergences in the bank’s asset classification and provisioning from the RBI norms," the lender added. Yes Bank Ltd's share price is currently at Rs212.10, up by Rs43.05 or 25.47% from its previous close of Rs169.05 on the BSE. The scrip opened at Rs185.95 and has touched a high and low of Rs218 and Rs185.95, respectively. So far, 5,89,09,534 (NSE+BSE) shares have been traded on the counter. The current market cap of the company is Rs39,098.82cr.